As facilitators of a group of seniors within the church, you have a wonderful position. You get to interact and fellowship with those that have a myriad of life experiences to share. God blesses our senior adults. Job 12:12 says, “Wisdom is with aged men, with long life is understanding.” (NASB). What a blessing that concept is, but also what a responsibility it is as they pass on their wisdom to generations to come. The excursions you plan build upon what they have learned and allow them to continue to grow. 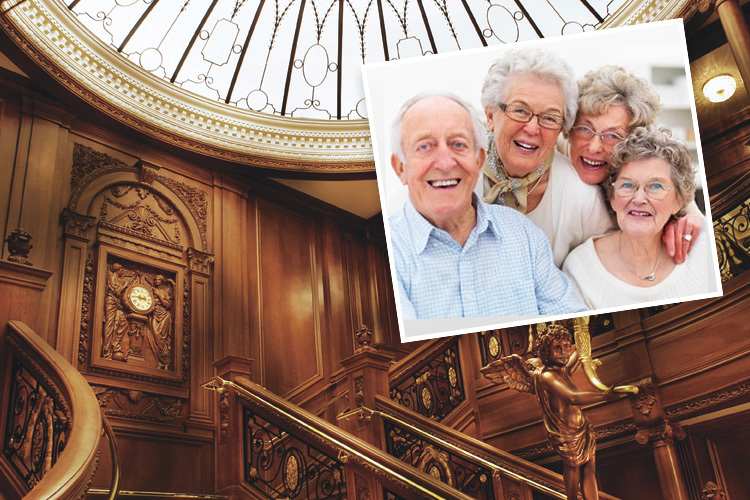 The Titanic Museum is an attraction that all will enjoy and appreciate. This ship stands as more than just a symbol of the most memorable maritime catastrophe of the 20th century. It is a living, breathing teacher for those that are willing to listen to the lessons of those that have gone on before. Take the opportunity to transport your group back in time and add to the spiritual wisdom they need to draw closer to God and strengthen their relationship with Him. The Titanic Museum is not just an attraction, but rather a memorial to those men, women and children aboard that ship on that fateful trip. Groups of fifteen or more qualify for a significant discount, with complimentary admission for the bus driver and group leader. Plan now to use this very real historical event as a powerful teaching tool with your group and let them have the opportunity to share what they learn with others in the church. For more information on how your group can reserve your place, please call us.